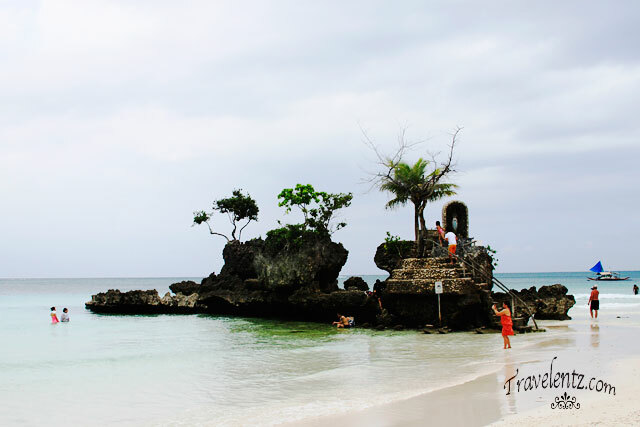 Willy's Rock is the Landmark of Boracay,Philipppines. The local residents called it a shrine for the Blessed Virgin Mary a top one of the huge rocks. They also designed a stairway to protect.